Lindemans Pinot Grigio is a white wine from Southeastern Australia. According to the wine’s tasting notes, the grapes for this wine were harvested from January to February of 2015. That year saw a very warm spring with low rainfall. Fortunately, after that period, the weather was more dry with less extreme heat. … With crisp fruit flavors and a contemporary, easy-drinking style, Bin 85 Pinot Grigio goes perfectly with food, family and friends. I tasted the 2015 vintage of this wine with my friend Al. Lindemans Pinot Grigio is light and brassy in color. The glass that was poured first had lots of tiny bubbles on the bottom of the glass. We noted many legs that were tightly packed and slowly falling, taking awhile to get started. The wine’s aroma was subtle and only noticeable up close to the glass. The nose revealed florals and light citrus similar to Meyer lemon. 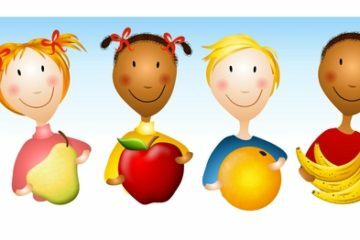 We also noted a hint of sweetness, similar to cantaloupe. were to experience toasty oak in the wine’s aroma. We didn’t agree with that. We noticed no oak in the aroma, not surprising given the wine was not aged in oak, but rather in stainless steel. Additionally, there was no sting of alcohol. Lindemans Pinot Grigio alcohol content 12.5% by volume per the bottle. 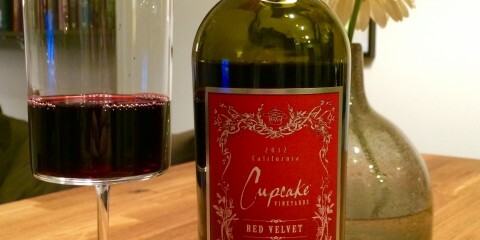 It took us a bit to determine how to characterize this wine’s flavor. I noted an enjoyable, warm, tangy flavor. After a few sips, my best guess was unripened peach. Al felt there was some Bing cherry in there as well. We both agreed there was a bit of bitterness in the flavor that lasts through to the finish. 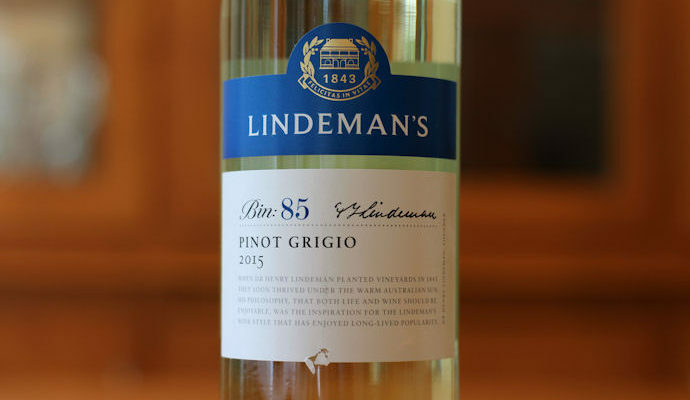 Lindemans Pinot Grigio presented us with a silky mouthfeel and a medium length finish. More specifically, the finish starts tart with a moderate bitterness that fades more quickly than the tartness. We both enjoyed this wine. For myself, it was due to the fact that it was challenging to nail down the flavor profile. I also enjoyed the understated crispness of the wine’s flavor. 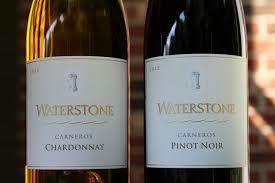 Given the wine’s value oriented price point, give this wine a go, especially if you like a refreshing warm weather white. We both agreed this wine would go great with a nice clean haddock or sea bass. As mentioned above… Give it a go! The post Lindemans Pinot Grigio Review appeared first on Honest Wine Reviews.